Meet the Character Mood light speaker. 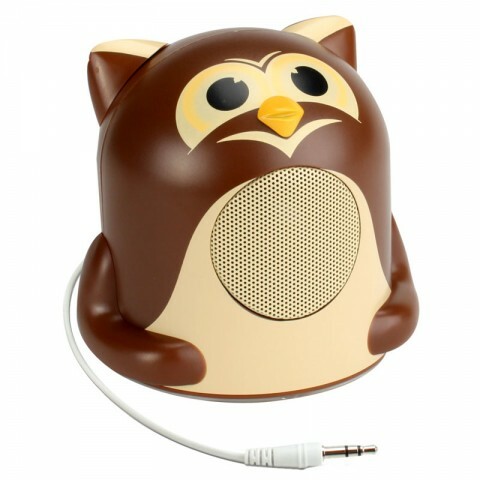 It's a cute, user-friendly speaker that loves to share its sound with everybody! In exchange for a little power, it'll give you hours of crisp, clear audio with nearly any popular media device! 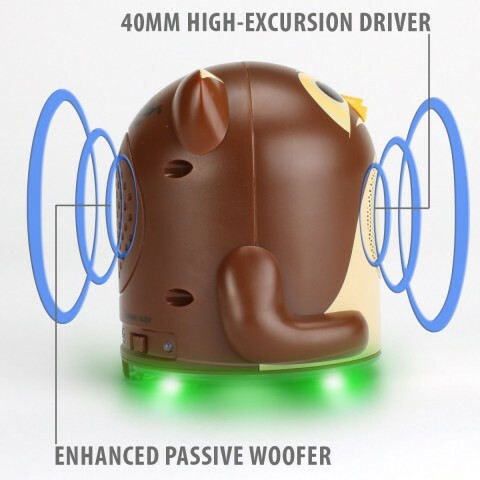 Featuring a powerful 40mm driver and a passive subwoofer, the Mood light speaker can deliver premium audio that will make your kids dance! Simply grab the retractable 3.5mm cord, plug it into your media device's headphone port, switch it on, and you're ready to play! 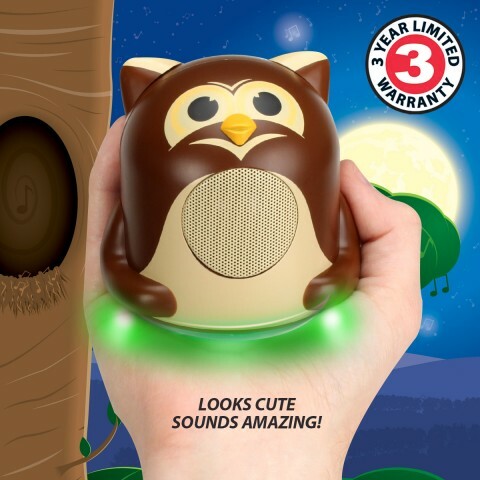 The Character Mood Light speaker is equipped with a LED lights base that glow to the music and can also double as your child's night light. Using the awake/ sleep indicator switch on the back of the speaker, control the LED lights and switch to power on. Also control the volume via the volume switch on the back of the speaker. 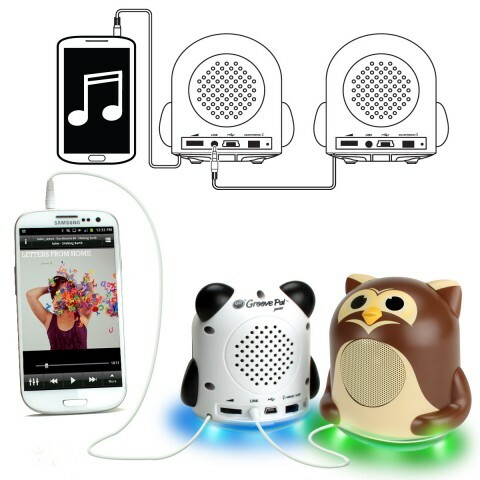 For even greater sound connect the Character Mood Light speaker family together, using the 3.5mm audio cable, to create a speaker sound link. Collect the whole family complete with owl, panda, polar bear, penguin, tiger and koala. The Character Mood Light Speaker is also extremely portable so you can take it with you anywhere! Store it in backpacks, purses, and much more! 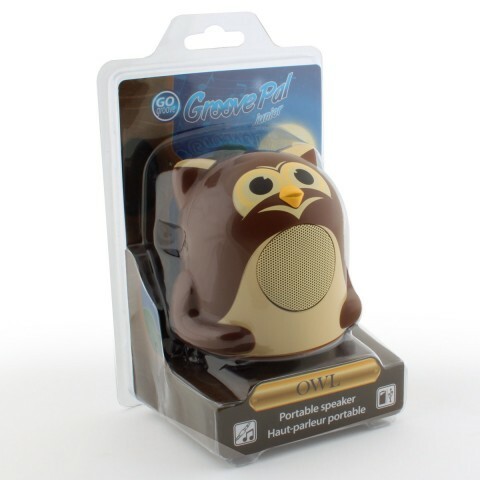 The Character Mood Light speaker is designed for travel and on the go use! 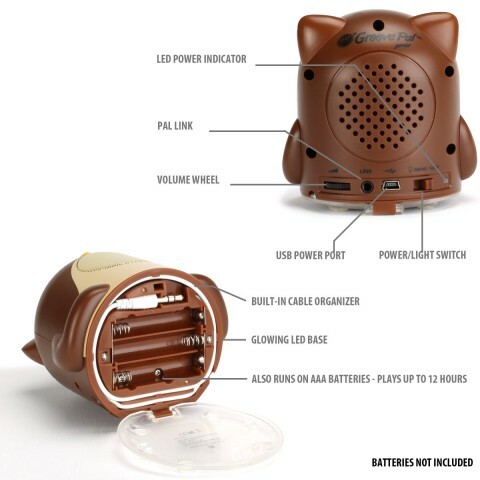 Click open the clear compartment located on the bottom of the speaker to reveal both the battery slots and the 3.5mm audio cable stowaway system. Unwrap the audio cable and guide it through the cable slot to begin listening to music. When you're finished listening guide the cable back through the cable channel to avoid tangles and store it safely away. 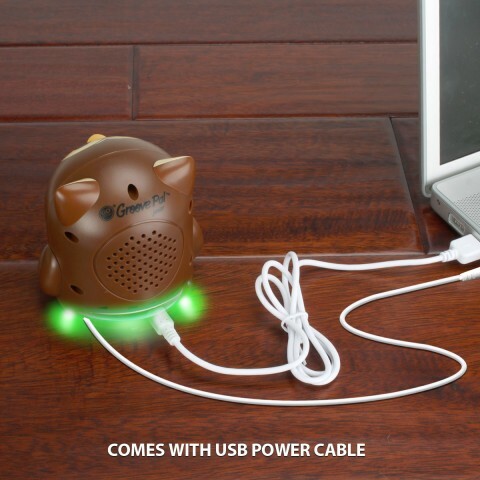 The speaker is powered by either 3 AAA batteries or through USB power. 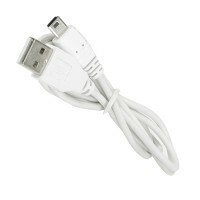 Use the included charging cable, plug into a universal USB port to begin listening to 12+ hours of continuous playback.